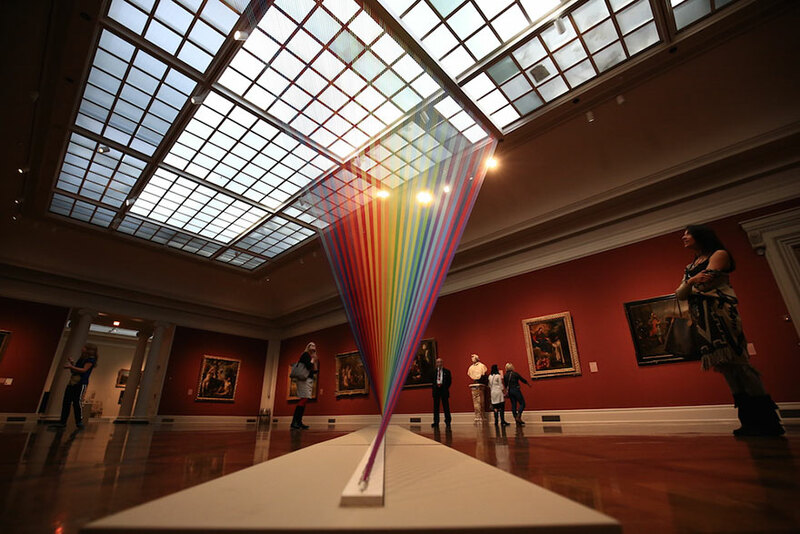 The Great Gallery of Toledo Museum of Art, Ohio, is usually filled with classic art pieces that date back decades and even hundreds of years back. 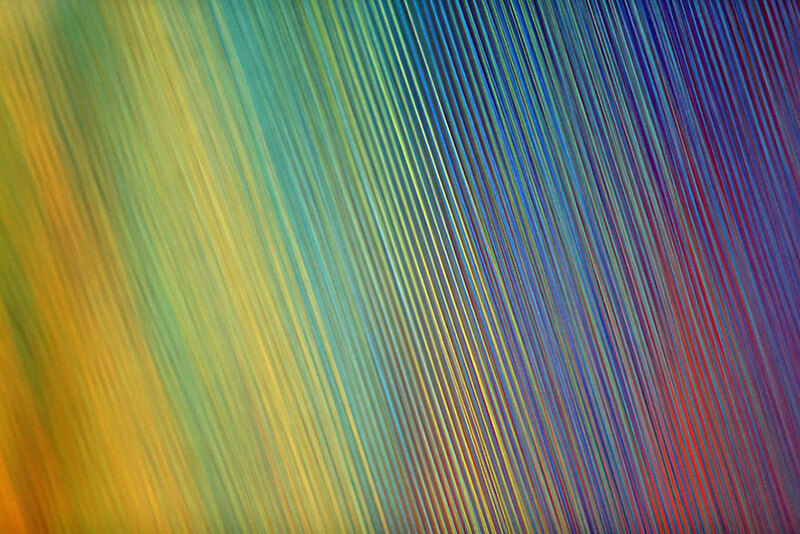 But now it’s been refreshed by this gorgeous man-made rainbow placed right in the middle of it. 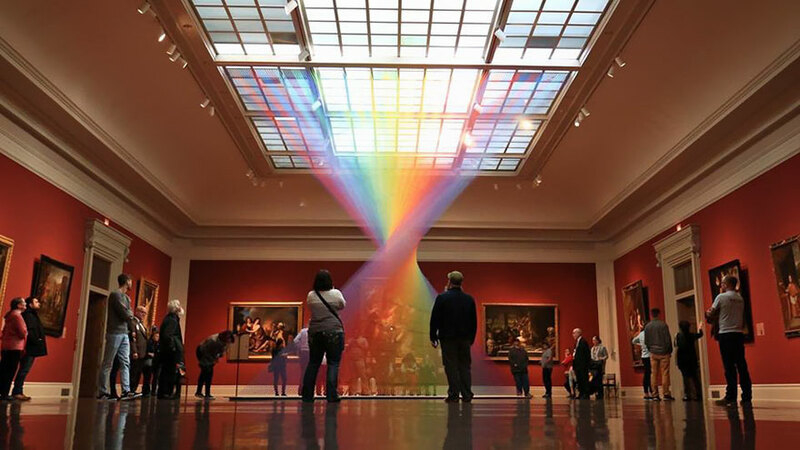 The artist behind it is Gabriel Dawe, a Mexican-born creator who specializes in mixed media and installations made out of colored threads which look like light beams bouncing around confined spaces. 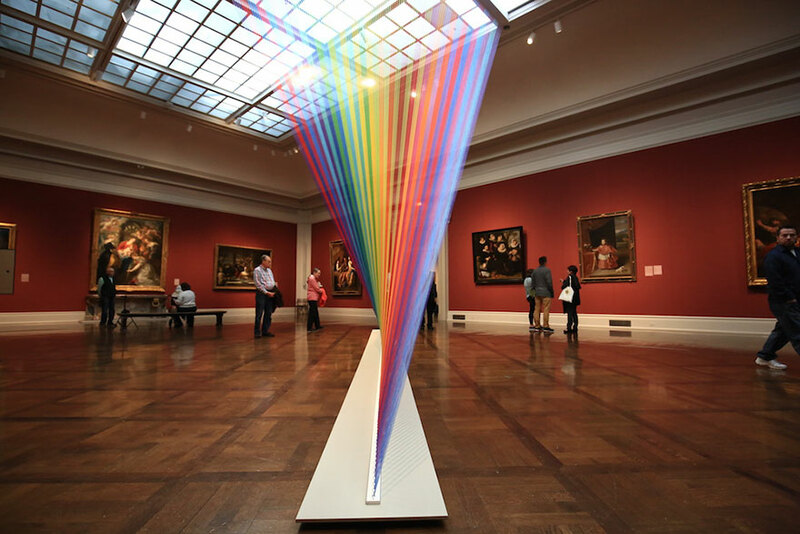 The one below is his most recent installation called Plexus no. 35, which will be decorating the Toledo Museum of Art’s Great Gallery until January 22nd, 2017. 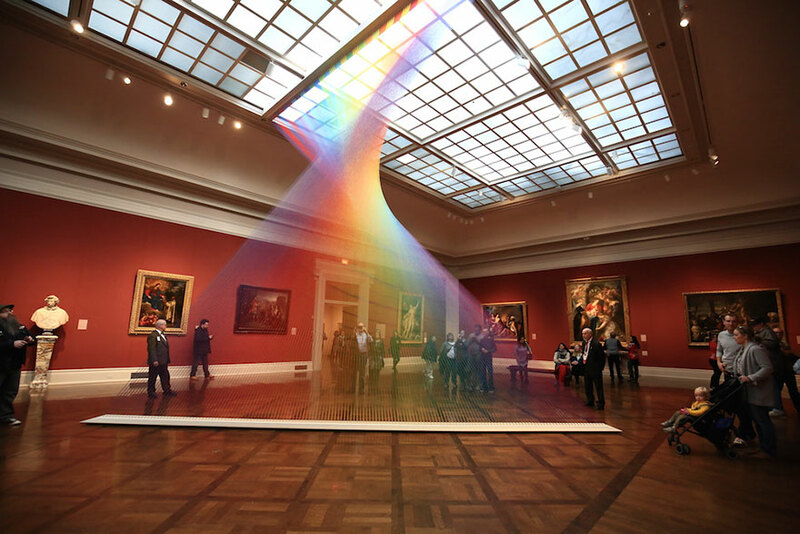 Gabriel Dawe was born in Mexico City , working as a graphic designer, he moved to Montreal, Canada in 2000 following a desire to explore foreign land. In search for creative freedom he started experimenting and creating artwork, which eventually led him to explore textiles and embroidery—activities traditionally associated with women and which were forbidden for a boy growing up in Mexico. Because of this, his work is subversive of notions of masculinity and machismo that are so ingrained in his culture. 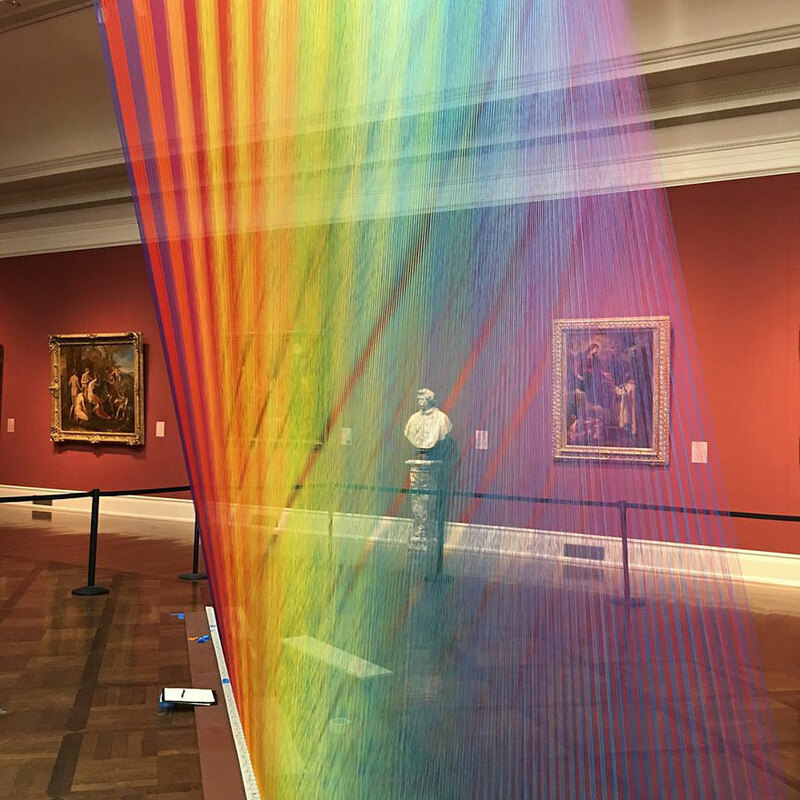 By working with thread and textiles, Dawe’s work has evolved into creating large-scale installations with thread, creating environments that deal with notions of social constructions and their relation to the self-organizing power in nature.